In addition to regular screen-printing techniques, Innovative Sheets also employs the more advanced, exposed film printing technique that results in more accurate and precise etchings. We also offer multi-layer etching to add depth and gradation to your sheet. And we offer a large range of etched stainless steel patterns for your preference. The most depth from Innovative Sheets is 100C ( Micron ) with a thickness of 0.6-3.0mm and width of 1,000-1,219mm. 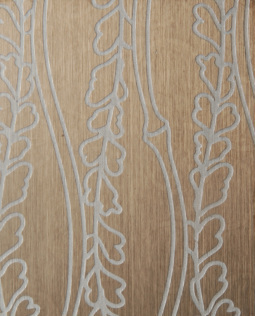 This etching surface stainless steel panel we offer is excellent both in decoration and durability. With different patterns and colors, our customers can use them in house decoration, facilities wall, even elevator cabin.